Regulatory process, Washington Administrative Code (WAC), Washington State Register, agency decisions. This guide discusses how to find Attorney General opinions on the constitutional or legal questions relating to the duties of state officers. Introduction to researching the state constitution. 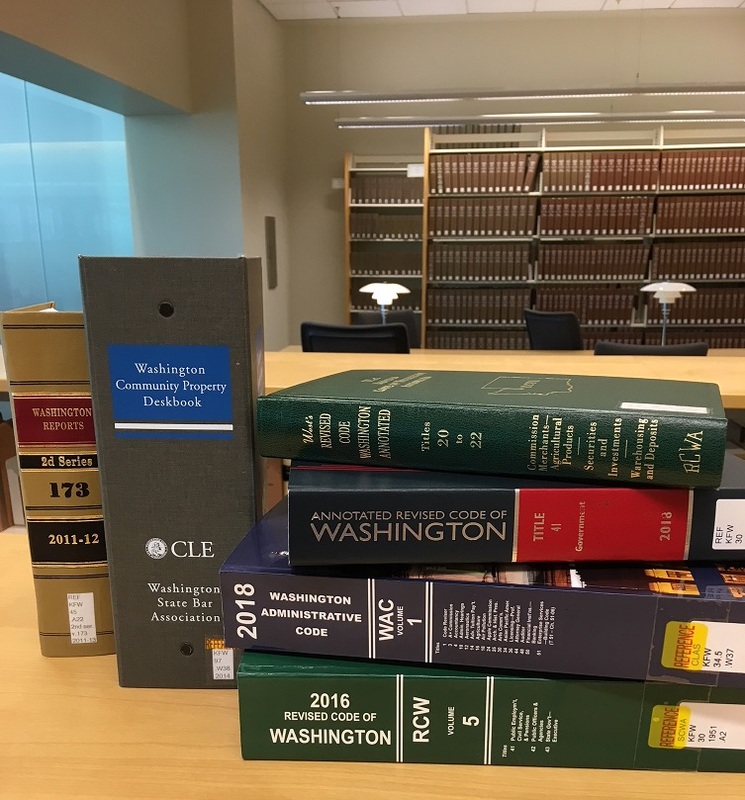 Materials include The Journal of the Washington State Constitutional Convention, 1889, law review articles, and newspaper articles from 1889. Links to state constitutions that influenced Washington's framers. Includes Revised Code of Washington, prior codes, session laws. Includes print sources as well as free and commercial online sources. Deskbooks, Washington Practice, court rules, etc. The law, legislative history, administrative materials, secondary sources. Includes sources aimed at attorneys and sources for people who are not attorneys.